There has been some confusion in the past about how yarns are being categorised for their yardage and thickness, and I also noticed a few differences in the US yarn categories compared to the European ones. 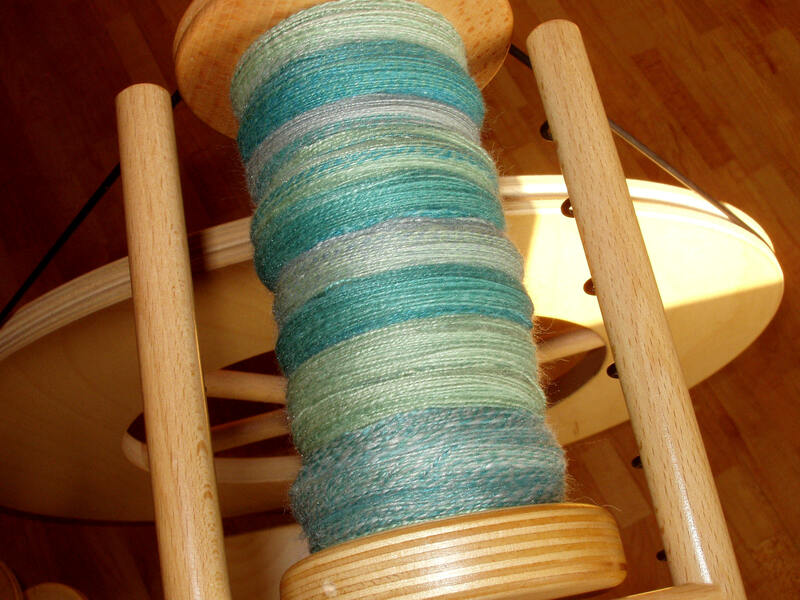 The yarn categories below are referring to commercially spun wools, so if you have a handspun yarn and you want to categorise it by its weight/yardage relation feel free to use this list. I have also included the wpi (= wraps per inch), which is widely used in the US. With this measurment you can calculate your approximate total yardage for a 36" long sleeved sweater by taking your wpi and multiplying it by 100 (wpi x 100). Add 10% for every extra 2" in size from there, or deduct 10% for every 2" smaller in size. Add another 10% for cables, and 30-50% extra for fair isle knitting.